Welcome back to Fantastic Fifth Grade for Technology Tip Tuesday, hosted by Blog Hoppin’! I absolutely LOVE using technology in my classroom!! Unfortunately, our school does not have the funds for the latest and greatest technology available to schools, but what we do have, I use ALL the time. Each classroom has a laptop for the teacher, a projector that we can hook up to our laptops, and a few computers for students (between 2 and 5). I also purchased an iPad for my classroom last year using money I had raised during our Race for Education fundraiser, so my 5th graders have this as well. –If you only have access to one iPad like I do, don’t stress! I was really worried in the beginning that it would cause major issues between my students, but everything went so smoothly with it last year. I have downloaded lots more apps since my original post about it, including some really fun ones (that still require strategy!) such as “Where’s My Water?” and “Cut the Rope”, two of their favorites. We had a rotation in our classroom, so each day one student was allowed to use the iPad each day. When we got to the end of the rotation, it repeated. That student was allowed to use the iPad after finishing morning work, during snack time, during literature centers, during silent reading (to read on the iBooks app – there are tons of free books for kids! ), and, if they had it on a Friday, during KICKBACK time. One of their favorite things to do during snack time was take pictures of each other using the Photo Booth that comes on the iPad – I now have almost 700 crazy pictures of my students!! I kept the iPad on my desk during the day, but if it was a time when they knew they could use it, they would simply come ask me for it. I liked to use it for review games with the “ClassQuiz” app, for giving a spelling test if a student was absent (I typed the words in and the app repeated them out loud to the student whenever they took the quiz!) using the “Spelling Free” app, and for an interactive whiteboard sort of idea, using the “Whiteboard” app. I’d love to hear any apps that you and/or your upper elementary students love to use!! So those are a few of my favorite technology tips! Someday I would love to get my masters in technology education, as teaching teachers how to use technology in the classroom is one of my passions! I’m still looking for possible programs, either online or in Pittsburgh, but haven’t found much yet – any suggestions?! I can’t wait to read everyone’s tips for today! See you back here tomorrow for Where I Teach Wednesday! Every year, our school holds a Race for Education. This is one of our biggest fundraisers that brings in quite a bit of money to JCS. Both the students and the teachers send out mailers asking for donations to family and friends and pray that others feel compelled to help our school. On a Friday in October, the whole school goes to a nearby track and runs laps for an hour. People can donate by lap or give a flat donation. Any money that is raised by teachers goes specifically to that teacher’s classroom for her to use as desired. Well, this year, guess how much I raised?? I know, right? I couldn’t believe how generous my family and friends were this year. I am so grateful for their willingness to support my classroom. A brand spankin’ new iPad! iBooks: I went through the library and downloaded lots of free picture, classic, and chapter books. The students may read them during silent reading time. StoryLines: This is actually a game we play in class quite often, so I was excited to see it as a free app too! One student types a sentence which the next student must illustrate. The next student then must write a sentence about that illustration (the original sentence is now hidden). The next student then illustrates that sentence (with the previous illustration hidden), and so on. It is funny to see how much the sentences change throughout the story! Educreations: This is basically like a white board on the iPad. You can record your lesson as you teach, so it records not only what you are drawing but also what you are saying. This was a great app that I used on Monday during a tutoring lesson after school – the student was much more motivated to work! Dictionary: Obviously an electronic dictionary…I am still making my students use real dictionaries, but this is nice for a quick look-up. Multiplication: A quick way to practice math facts. I haven’t bought the whole game, so it only goes up to the 5’s, but it’s more exciting then writing them down! It brings up a fact and reveals 4 answers…the student must choose the correct one as quickly as possible. Spelling Free: This is perfect for my student who is down in the 6th grade room for 7th grade math during our pretest on Mondays and the spelling test on Fridays! I can type the list into the app, record my voice saying the words, and he can listen to the list being read and either type the words into the app or write them on a separate piece of paper. This is also a great tool for the students to practice their spelling words during the week! Essentials: Every year in March, the entire school studies a country. This year we are learning about China, so this is a way to learn some Chinese words and symbols. 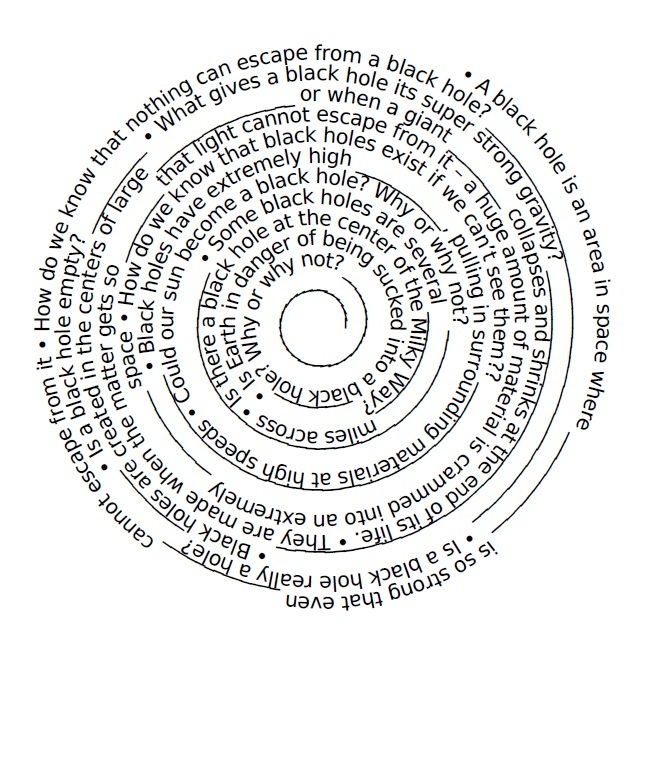 Once again, this is the free version so it only comes with about 20 words, but I like how clearly the words are read! Flashcardlet: A nice way to practice vocab words or a list of words that the students need to memorize. Sudoku: Obviously a sudoku app! GoSkyWatch: I was super excited about this app that ties in with our September unit on the universe. 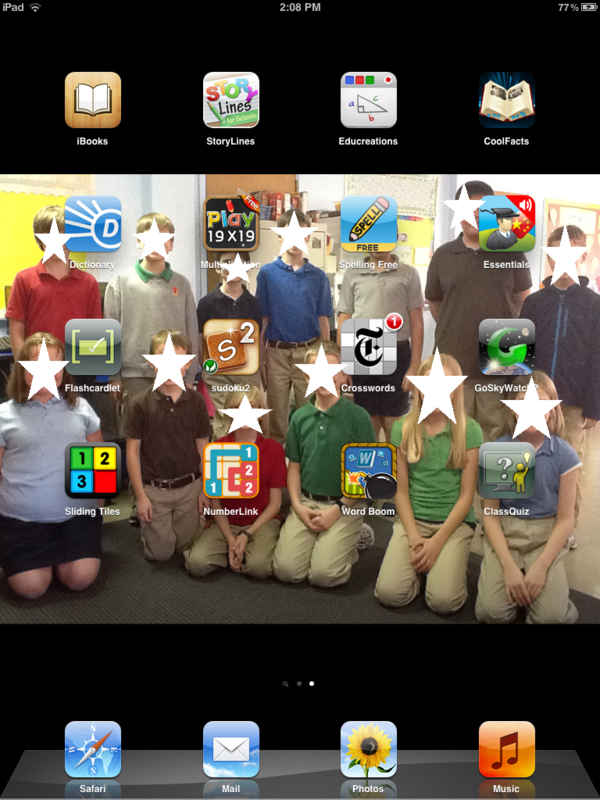 If you hold the iPad up to the sky, it shows you where the different constellations and planets can be found in the sky! So cool! Sliding Tiles: Trying to arrange tiles by sliding one at a time in a certain formation. Good for visual spatial reasoning! Number Link: This game involves trying to link the matching numbers while not overlapping lines and making sure every box is filled in. Requires a bit of logic reasoning! Word Boom: This game gives a list of letters that the player must make into multiple words, from 3 letters up to 8 letters. Class Quiz: I actually just got this one today! It is the only one that has cost money so far (I think it was $2.99), but one of my students actually brought in a $15 iTunes gift card that he wanted to donate to the purchase of more apps. So sweet! Anyways, I used this today for our English review. It creates a Jeopardy-like review game. I actually really like it because the iPad acts like a remote when hooked up to the projector, meaning what is seen on the iPad is different than what is seen by the students on the screen. The teacher can control what appears on the screen! It worked really well for our review today and the students enjoyed it as well. I liked that it kept track of the score for me, which is always an issue when playing on the laptop 🙂 There is also an option for students to play an individual review game. My plan for the students is to have an “iPad student of the day” who will get to use the iPad during morning work, silent reading, math centers, literature centers, and other free time throughout the day. They cannot wait to start – I think someone has asked me every day when we are going to pick who goes first!! So that’s what we have so far. 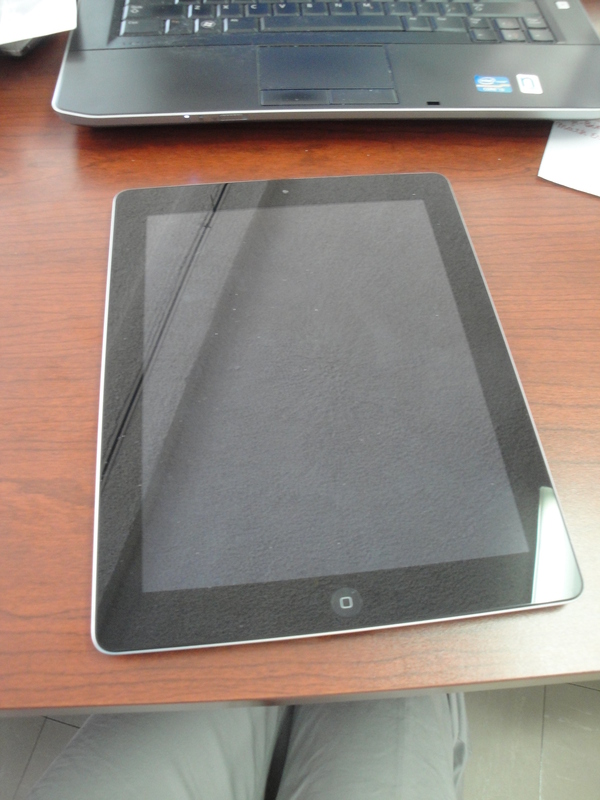 Do you have an iPad (or 2, or 3, or more) in your classroom?? How do you use it in your classroom setting?? I would LOVE suggestions on more apps to download, both free and paid! I am excited to have my kiddos start using it!